Thanksgiving is around the corner and I’m wondering how I can integrate a brief Holiday study into my gifted classroom. Let’s use the origins content imperative as a starting point. Beginnings are often fascinating! 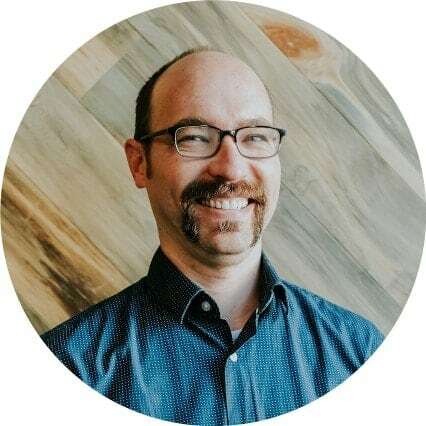 Teaching students about the first Thanksgiving feast is standard fare in the primary grades, yet there is a gold mine of information about the origin of the actual calendaring of Thanksgiving. It’s a bizarre story that will intrigue your students and could lead down some interesting avenues and explorations! Under request from congress, Washington named Thursday, November 26, 1789 as a national day of thanksgiving. Here’s the [text of Washington’s proclamationttps://web.archive.org/web/20170217001007/http://lcweb2.loc.gov/ammem/GW/gw004.html). This procedure of announcing days for giving thanks continued on and off (with the dates shifting around) for about eighty years. Finally, Lincoln came along and proclaimed a real Thanksgiving holiday. 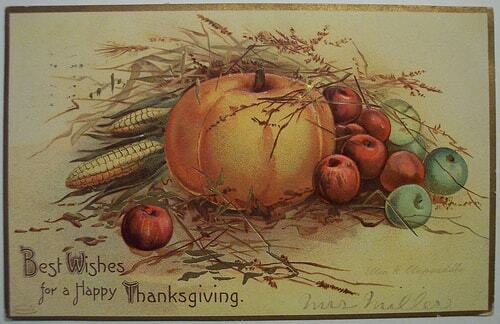 In 1863, Lincoln issued a proclaimation declaring the final Thursday of November to be Thanksgiving. This action was a result of the campaigning of Sarah Josepha Hale (who also, fascinatingly, wrote “Mary Had A Little Lamb”!). Some of your students may be intrigued to study the huge historical influence this woman had on the US. 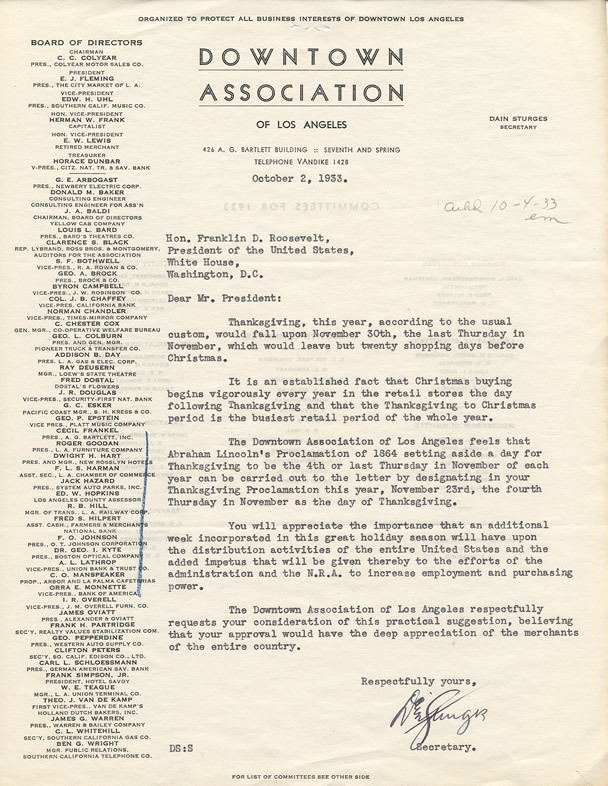 Lincoln continued to announce Thanksgiving each year, and every president continued this tradition until 1939. But note, they had to make this announcement every year since it was not a fixed, national holiday. 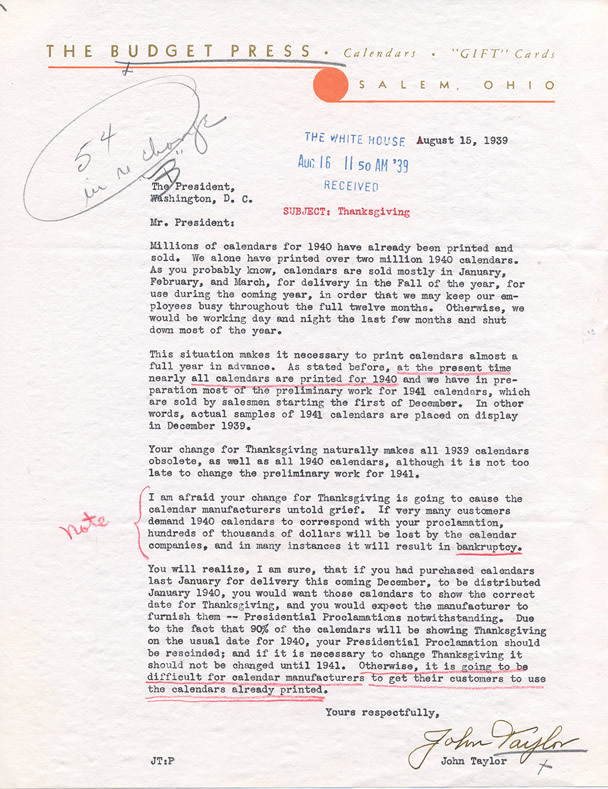 After over fifty years of annual Thanksgiving celebrations on the last Thursday of November, Franklin Delano Roosevelt decided to move Thanksgiving to the second-to-last Thursday in 1939. Ask your students to ponder the causes of FDR’s seemingly strange decision. Now, ask students to consider the consequences. Offer categories such as economic, political, and social. FDR’s action caused major political turmoil. Since states choose how to implement holidays, half the states ignored the announcement, and half followed it. Our country celebrated Thanksgiving on two separate weeks! Texas and Colorado even decided to celebrate the holiday two weeks in a row! As part of the social consequences, football games (a traditional part of Thanksgiving even then) were thrown into turmoil as teams attempted to reschedule around the new calendar. In 1941, Congress passed a bill moving Thanksgiving officially to the last Thursday to shut down anymore confusing presidential changes. Then (yes, it’s true) Congress amended the bill to move the holiday to the fourth Thursday of November. Here’s the actual document. Let’s give thanks that it’s managed to stay there ever since. This strange tale definitely inspired me to investigate who controls holidays and how they are legally handled. It also gave some insight into the relationship between Congress and the president (note that Congress has more power than the president in the holiday-creation realm). Finally, there are some interesting examples of how everyday people can influence the president to take action.